Jim and Fred take a look and test out the new Phantom 4 from DJI. Fred and Jim first presented a home-built tricopter about 5 years ago to be used for aerial photography. Since then, the UAV (drone) market has exploded and the little machines are becoming more and more sophisticated. In the current episode, Jim and Fred present a first look of the new DJI Phantom 4 which features collision avoidance, a 4K camera capable of taking 12 MP RAW images, redundant GPS and IMU systems, and a new improved gimbal. 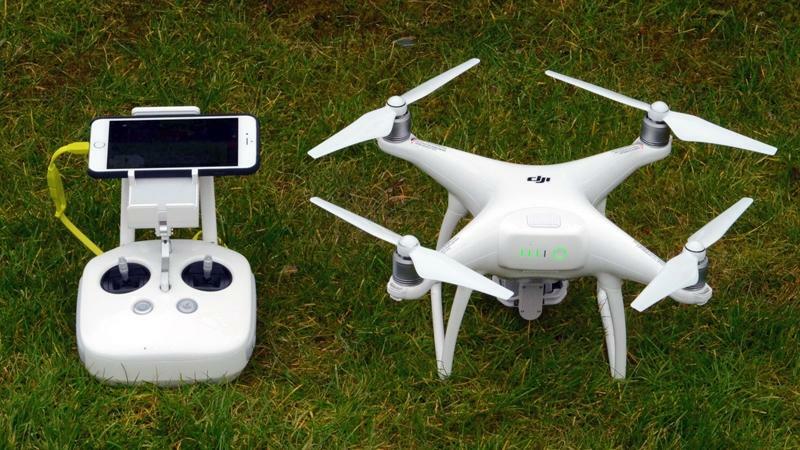 Although not cheap, the new quadcopter offers a lot for the money. The Fotobug urges all users of UAVs (drones) to be mindful of the FAA rules and regulations and to fly safely. The Fotobug guys will be offering more information and tips on the Phantom 4 in future podcasts, but present here a first look at this new offering from DJI! Be sure to keep listening and plan to attend the Black Hills Photo Shootout in September in South Dakota! Until next time, keep chasing those elusive images!